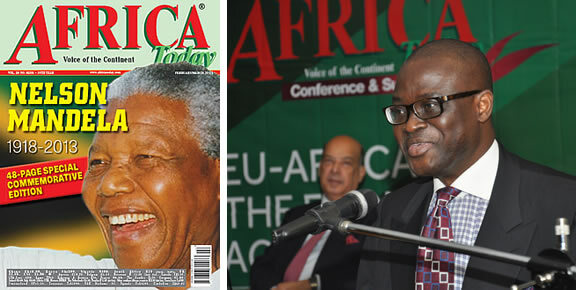 The driver for the Africa Today Conference & Summit is the Africa Today magazine itself. Since it was established 20 years ago, Africa Today has established for itself a credibility and reputation as an independent journal of record for Africa and knowing Africa well. The secret behind the success of Africa Today as a credible source of information on Africa is its founder and publisher, the internationally well-known and highly respected Nigerian journalist, Kayode Soyinka. A journalist of international repute, who made his name as a veteran foreign correspondent, Kayode Soyinka is remarkably famous for being the survivor of the letter-bomb blast in Lagos on October 19, 1986, which killed the investigative Nigerian journalist and editor Dele Giwa. Essentially a pan- African news magazine, Africa Today gives an authentic African view of Africa. 95% of its reporters, editors and commentators are Africans stationed in Africa, reporting right from the source. And because our correspondents and writers are Africans and well-connected within the continent, they have been able to report its affairs with authority. It is this very authority, incisiveness, and deep knowledge on African affairs that is the primary benefit to readers and advertisers alike - and from which anyone who attends any of the Africa Today Conference & Summit will benefit. Africa Today thus provides any investor interested in the African market a strong platform to showcase their products and services. And African governments, international organisations and businesses an avenue to tell the world about their success stories. As the continent continues to reinvent itself, join us in the Africa Conversation by attending the Africa Today Conference & Summit.